People are demanding food transparency and products with real, wholesome ingredients. Across all categories of food products, more and more labels now claim that their product contains no artificial colors, flavors or preservatives. It’s also become routine for product developers to ask their suppliers for natural or organic-compliant options. Seminars and workshops are now being devoted to teaching bakers and chefs how to incorporate clean label into their product lineups. But in all the discussion about clean label, one question stands out: what exactly is it? “Clean label can cover many areas — organic, non-GMO, shorter ingredient lists, simplified formulations that include only the ingredients people find in their kitchen cabinets, or free from artificial preservatives, colors and flavors,” said Ashley Robertson, market manager, bakery, for Lenexa, Kansas-based Corbion. That openness to interpretation adds to manufacturers’ challenges in pursuing the clean label opportunity, but it also gives them room to do it in a way that resonates with their target customers. Clean label continues to be a term that encompasses a lot and is interpreted differently by consumers of all ages. Provide your definition of “clean label” baked goods and how does this differ from standard? Because there’s no one definition of clean label, suppliers’ needs can vary widely when it comes to incorporating it into their product lineups. When Corbion works to help a customer implement cleaner labels, the company always starts by understanding their partner’s goals, identifying their operational and formulation challenges, and figuring out what “clean” really means to their end-users, Robertson said. 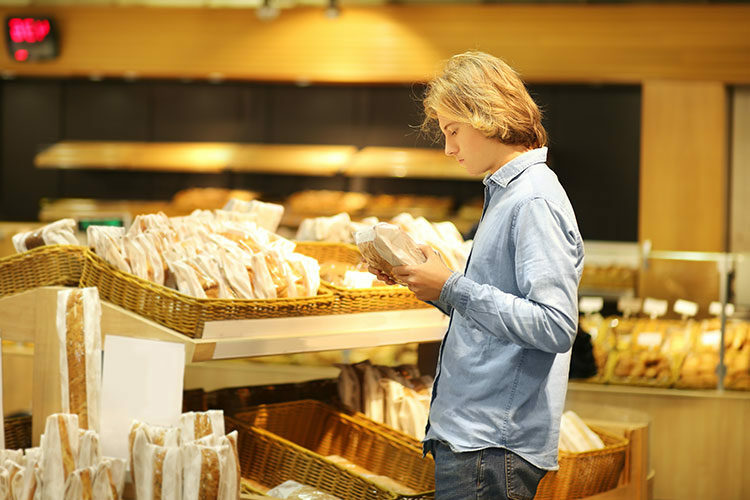 “Understanding how their consumers define the term and what they’re looking for when purchasing products can help bakers create winning formulations,” Robertson said. People want to eat foods they trust and feel good about. Millennials and Gen Z-ers, in particular, are looking for labels that are easy to understand. To them, it suggests that the product inside the package is free from artificial ingredients or anything overly processed. They also perceive clean-label products to be fresher than other products. Of course, what’s not on the ingredient label is often just as, if not more, important to consumers as what’s on it. A little over half of all consumers say the exclusion of undesirable ingredients is more important than the inclusion of beneficial ones. Corbion expects to see continued demand for greater transparency, “free-from” formulations and customizable applications as consumers become more aware of health concerns associated with certain ingredients. Corbion offers a variety of solutions that appeal to consumer demands for simplified, cleaner ingredient labels. The company’s Pristine® line of clean-label dough improvers, cake mixes and frozen doughs help bakers remove unwanted ingredients — artificial preservatives, colors, flavors or any chemical-sounding ingredients — without compromising taste, texture or quality. Corbion’s naturally derived mold inhibitor, Verdad® MP 100 line, also allows bakers to create great-tasting products without “off” flavors or aftertastes. While it was not the first clean-label solution to hit the market, it is the first one to equal the performance of calcium propionate without affecting product flavor, which makes it a viable alternative for bakers. By enhancing the tolerance, quality and shelf stability of baked goods, Corbion’s emulsifiers help make it easier for bakers to overcome clean-label challenges. The company continually invests in its emulsifier portfolio to drive further advancements in finished product consistency, processing efficiency and overall business sustainability. In addition, all of the palm oils used in Corbion products are now RSPO-certified and come from suppliers committed to minimizing negative impacts on palm-growing regions and their communities. “We believe this change is especially beneficial for bakers as clean-label demands continue to shift toward greater transparency and sustainability,” Robertson said. Delivering a consistent product with reliable shelf life continues to pose challenges for many bakers because of the increasing variability of raw materials and scarcity of skilled labor, Robertson said. It can also be difficult for bakers to minimize scaling errors and reduce waste due to certain environmental factors associated with ensuring the taste, texture and consistency of clean-label baked goods. Ingredients that don’t offer the same functionality as traditional ingredients can also impact the appearance, which can make clean-label products less desirable for consumers. The key to success when it comes to clean label, Robertson said, is close partnership between the manufacturer and the ingredient expert, focusing on solutions that meet clearly defined needs.